AMMONNEWS - Amman will call for an emergency meeting of the Arab foreign ministers council next month to discuss challenges facing the UN agency, which was created in 1949 to provide services to more than 5 million Palestinian refugees in Jordan, Lebanon, Syria and the Palestinian territories in the West Bank and Gaza Strip, Minister of Foreign Affairs Ayman Safadi said in a joint press conference on Thursday with UNRWA Commissioner General Pierre Krahenbuhl . “Any shortage in funding will drive hundreds of thousands towards deprivation and despair…protection of UNRWA is a protection of the rights of millions of Palestinians in decent living and the right of hundreds of thousands of students to education and health,” said Safadi. He added it is either to send 260,000 students in Gaza, for example, to schools where they learn or to streets where they live in poverty and despair. Safadi said no country in the world has the right to decide who a refugee is, stressing that there is “a clear definition of the Palestinian refugees and they are covered by the UN umbrella that recognised their right to work, relief aid, return and compensation”. Safadi referred to the meeting that will be held on the sidelines of the general assembly meeting in New York, which Jordan called for, saying the conference seeks to mobilise political and financial support for UNRWA. “We need to mobilise financial support to help it overcome the deficit and to have a plan for UNRWA during the upcoming stage and the political support is to reiterate that UNRWA is an existing entity based on a UN mandate and plays a clear and specific role and that this role needs to continue,” he said. The fiscal deficit of the agency is severe, but work will continue to ensure that students continue to have access to education and to provide health services to refugees until a solution is reached. UNRWA needed around $464 million this year, but after working with Jordan and partners $283 million was collected during first half of this year and still there is a need for more 200 million to complete this year successfully, Krahenbuhl said. He added that the 5.3 million Palestinian refugees are people who have rights and have for decades faced a plight and injustice that is simply immense. As long as a just a lasting solution has not been found to the Israel-Palestine conflict, “we will continue to implement the mandate that the General Assembly has given us”. 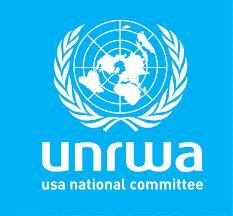 He said UNRWA would continue to mobilise and draw attention to the plight and the need for continued support and hope. “We want Palestinian refugees to feel that the world continues to feel concerned about their situation,” he told reporters. “Because we deal with humanitarian issues we need to increase and sustain our mobilisation efforts and We are determined to find solutions to the financial crisis. We knocked all doors and explored all avenues and enjoyed great support from Jordan and many partners in the world,” he said. “I can assure refugees that UNRWA is determined to stay an active player in the region until a solution is found,” Krahenbuhl said.